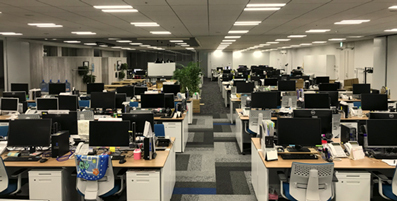 transcosmos inc. (Headquarters: Tokyo, Japan; President and COO: Masataka Okuda) expanded and relocated “Marketing Communication Naha Center (MC Naha Center)” which delivers website development & operations services in Naha City, Okinawa Prefecture, and held its opening ceremony on January 10th, 2019. The center is scheduled to begin full-scale operations on January 21st, 2019. 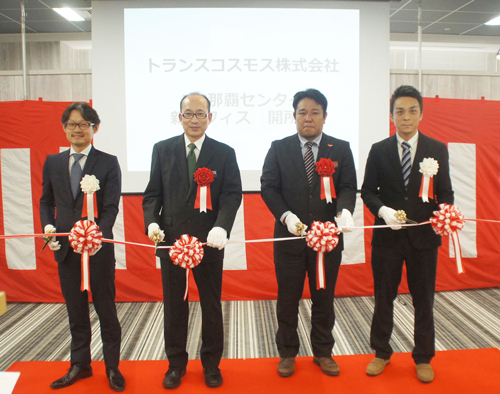 Ken Inazumi, Senior Corporate Executive Officer, transcosmos inc.
Kazuhiro Yamada, Acting Division Manager of DX, DEC Headquarters, transcosmos inc.
MC Naha Center opened in December 2000 as the former “WebWorks Okinawa Office” offering website development & operations services. In June 2007, transcosmos made WebWorks its subsidiary and integrated their business in October 2018. Following this expansion and relocation, transcosmos aims to increase the number of employees that currently stands at around 150 with a goal to reach 200 by the end of FY2019. Through its nearshore centers in Tokyo, Osaka, Sapporo, Fukuoka, and Okinawa with 1,600 staff, the largest scale in Japan, transcosomos offers website development & operations services to nearly 700 clients annually. Outsourcing demands for website development and day-to-day operations services continue to grow in Japan whilst demand from overseas is also increasing. 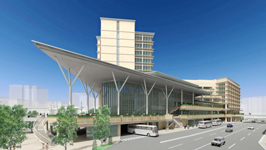 Making the most of the abundant English-speaking talent pool that Okinawa Prefecture has, the center will act as a global hub, collaborating with offshore centers in Vietnam, Indonesia, the Philippines, and more. 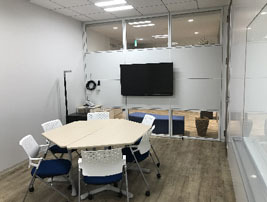 Opened in Naha Business Center which is directly linked to the monorail station Asashi-Bashi, the MC Naha Center is designed with a prime focus on creating an employee-friendly office. With its open operations space that encourages communication among members, a clean and bright refresh area that lets employees rest comfortably, and a conference room equipped with a system to have video conferences with other centers, the overall office layout creates an open office environment with the aim to let employees naturally communicate with others whilst improving overall productivity. What’s more, with over 100 marketing automation (MA) engineers, the experts in operating MA tools, MC Naha Center has a special capability of offering operations outsourcing services to clients that have implemented MA tools. transcosmos will further enhance the team and grow it into a specialized team that performs integrated marketing operations across multi-channels that include mobile, email, and social media. The team ensures high quality services building upon its record in operating various integrated marketing tools. 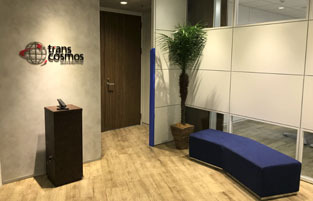 transcosmos entered into Okinawa Prefecture in 1999, and now delivers extensive services including call center services, BPO services, and digital marketing services from 9 centers with around 4,000 employees. transcosmos continues to hire and develop people in order to offer services that satisfy clients’ various requests whilst contributing to the revitalization and development of local communities through creating jobs.